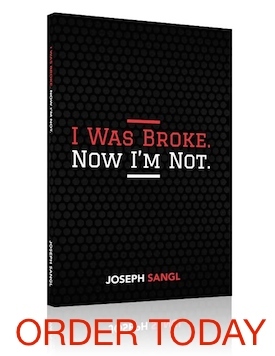 Regular readers of JosephSangl.com know how much I love visual ways to track paying something off or saving money to avoid debt altogether. We call them Savings Spectaculars and Debt Pay-Off Spectaculars. With the miracle of Baby Sangl comes the lovely large medical bills. We could sit around and pretend that the bills are not going to show up. We could ignore the obvious. If we choose to ignore the obvious, we will end up in a financial mess. Let me clarify, this is NOT an event that qualifies for use of the Emergency Fund! Why? Because we have been given SEVEN MONTHS notice! This means that Baby Sangl is moved to "Known, Upcoming Expense" status. Since Baby Sangl is a Known, Upcoming Expense, we must save money NOW! 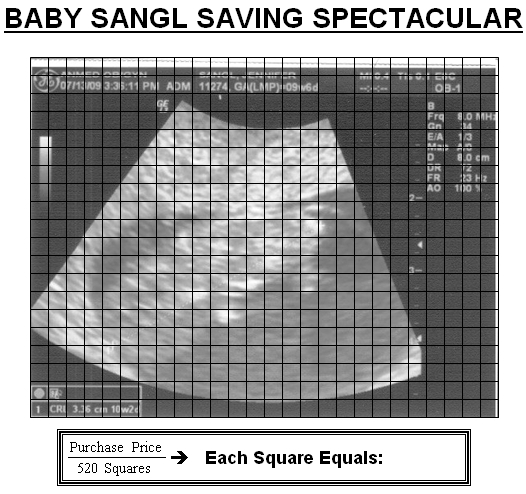 So we will start a new feature at JosephSangl.com – The Baby Sangl Savings Spectacular. Welcome to planet earth, Baby Sangl, where your big sister, mom, and dad can't wait for you to arrive – debt-free! This is awesome and yet completely hilarious. Keep up the good work and good luck with the diaper changes. How absolutely incredible & beautiful. Hope Jen is feeling well & having an easy pregnancy. YAY GOD! This doesn’t necessarily go along with the baby thing…..but how do you know how many squares to color in for each payment you make….because we have a truck and i printed off the page but i’m not sure which squares to color in…. Jessi… I think this might be what you are asking? See at near the bottom of the page where has “purchase price / 520 square = each square equals”. That’s the formula that gives you the answer to how much each sq is worth (in payment). So…. If your calc says each sq was worth say $40 and you make $100 payment…. Then color in 2.5 sq.